Willie Mullins and Gordon Elliott both hold strong hands in Thursday's Future Champions Novice Hurdle at Leopardstown, but we're not sure they'll win. Elliott has the likes of Defi Bleu, Commander Of Fleet and Vision D’Honneur entered for the prestigious Grade 1, while Mullins could be represented by Prince D’Aubrelle, Tornado Flyer and the mare Sancta Simona, the latter two heading the Future Champions Novice Hurdle betting. The Future Champions Novice Hurdle is more than just a pointer to the Supreme Novices Hurdle at the Cheltenham Festival, with Champion Hurdle winners Istabraq, Hurricane Fly and Jezki on the winners board, in addition to a Gold Cup winner in Sizing John. Whether there’s another Istabraq or Sizing John in the field this year, only time will tell but with a field of 16 currently engaged it’s shaping up to be one of the best novice hurdles of the season so far. Tornado Flyer (9/4 Coral) currently heads Future Champions Novice Hurdle betting, having won three of his four starts, including in a Grade 1 bumper on yielding ground at Punchestown in April. He comes into the Grade 1 unbeaten over hurdles having justified odds-on favouritism when winning over 2m4f at Punchestown (good) in a maiden earlier this month. 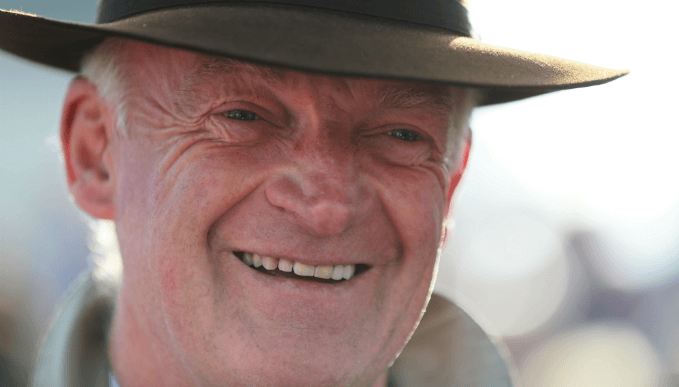 While Tornado Flyer clearly has plenty of class about him, Willie Mullins' charge is likely to be better over further in time so it may pay to oppose the five-year-old, even though he represents the stable that has won this €100,000 race for the last three years. Joseph O’Brien’s Triplicate (5/1 Paddy Power) has plenty of experience over obstacles, having finished fourth on debut over jumps 13 months ago, prior to completing a double when winning over 2m at Galway (yielding-to-soft) and Listowel (soft) earlier this year. Two subsequent defeats followed, but they did come at the hands of the impressive Quick Grabim, a stablemate of Tornado Flyer, including in the Grade 1 Royal Bond Novice Hurdle at Fairyhouse earlier this month. While the Grade 1 Triplicate contested last time out was likely the best race he has run in, the form of his Grade 3 second at Tipperary (2m, good) in October is working out well too, with the third Easy Game winning twice in Graded company since. The fourth and fifth in the six-horse field have also since won. The rain forecast is likely to result in a softening of the ground at Leopardstown prior to race day, but those last two efforts on good going suggest that should it fail to materialise this would be no inconvenience for Triplicate, who was also the winner of two of his three Flat starts when trained by Aidan O’Brien in 2016. What About An Each-Way Bet? Aramon (6/1 Coral), a stablemate of Tornado Flyer, showed some decent form on the Flat when trained in Germany by Markus Klug, but he has shaped as if he will make a much better horse over obstacles in four runs since joining Willie Mullins. The five-year-old justified odds-on favouritism when easily taking a 2m4f maiden hurdle on good going at Kilbeggan in August, then proved that a drop back in distance was no issue when finishing runner-up to Triplicate on rain-softened going in at Listowel. Aramon again finished behind Triplicate when the pair met in the Royal Bond Novice Hurdle last time out, but it’s worth noting he has already proven himself up to Graded company, having taken a Grade 3 2m contest at Navan (good) last month. Aramon has also proven that he handles both good and soft going, both on the Flat and over hurdles, and that he can win over further, which may prove helpful, given a number of the previous winners subsequently proved more effective over longer trips. While his trainer has won the last three renewals of this it hasn’t always been with his most fancied runner with Saturnas winning two years ago at 9/2 and Whiskey Sour last year at 9/1. With Tornado Flyer the favourite, its seems highly likely Aramon will be playing a similar role in the race and he therefore looks a decent each-way bet.